Weight-loss trends come and go almost as swiftly as fashion trends. Those who seek a thinner figure and improved health will try almost anything to see the pounds disappear. So 2016 has seen a variety of weight-loss strategies top the horizon. Here are a few of the most popular. Since the 1950s people have been using a combination of injections of the hCG hormone and a very low-calorie diet to shed volumes of weight in a short amount of time. This helps to control hunger and boost metabolism, and leads to greater and more long-lasting weight-loss benefits. It’s attracted high praise, thanks to the media that has encouraged broader use of the hormone this year. Vitamin B12 is an essential vitamin that has been known to promote weight loss through a boosted metabolism. 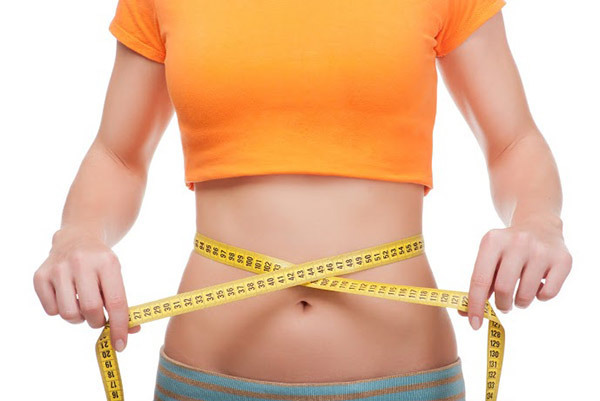 These injections work because they help to cure B12 deficiencies in the body as well as promote long-lasting weight loss. A major trend that’s popular among millennials is clean eating. This diet involves eliminating packaged food and GMOs as much as possible in favor of whole foods and organically grown items. This is one of the healthiest options for weight loss because it involves consumption of fewer calories and less sugar, but it can be expensive. Variations of the Atkins diet have been cropping up all over, with the aim of reducing the amount of carbs eaten in the hope of achieving thinner thighs. Low-fat versions of packaged food have also resurfaced in grocery stores to meet the demand from weight-loss hopefuls. Scientific research has indicated that cardio is great for losing weight, but high-intensity interval training (HIIT) is ideal for building muscle to combat fat when you’re short on time. People love these workouts because they have a high impact on fitness goals and can be completed anywhere. A few years ago, fat was the bane of dieters’ existence. Though it’s still a touchy subject, the focus has shifted toward sugar and how it reportedly damages a person’s ability to lose weight and maintain healthy energy levels. Thus, loads of people have begun fasting from items that contain sugar in order to kick-start their way to their goals. Kale, quinoa, coconut oil, black beans, and other so-called super foods have been taking the market by storm. Consumers can’t get enough of the healing powers of these ingredients in the hope of burning fat. Manufacturers have been creating new forms of vitamins to sell to dieters with the argument that when ingested, the minerals will promote weight loss. Though some of the hype is simply that, there is some basis for the notion that when your body takes in high-quality vitamins and minerals, it performs every function — including metabolic activity — better. Kale remains a popular super food, but it’s not nearly as exciting to dieters these days as sea kelp. This common ingredient in shampoo is also being used in side dishes and weight-loss pills. Fitness videos have become more popular than ever in 2016, particularly if a celebrity has endorsed the feature. When a famous person comes out with advice for losing weight and getting fit, many people follow her or him without question. Next year, we’ll undoubtedly see many of these fitness trends as well as some new ones. But a cure-all for obesity and weight gain has yet to show itself.